In our experience, industrial properties, like manufacturing facilities and warehouses, stand out as the most likely types of properties to be incorrectly assessed. In North Carolina, there are three recognized approaches to valuing property for property tax assessment purposes: the income capitalization approach, sales comparison approach and cost approach. The problem in assessing industrial properties is that assessors find it difficult to properly apply any of the three approaches to value. The income capitalization approach determines the value of a property by capitalizing the potential net operating income from the rental of a property by a capitalization rate. This is meant to reflect the return on investment demanded by investors of that property type. Disadvantage: The income capitalization approach is generally not applicable because industrial properties are not typically leased. Instead, they tend to be owner-occupied, without much of an investor market. The sales comparison approach determines the value of a property by examining other properties of the same type that have sold in the market. Disadvantage: The sales comparison approach can be difficult to apply, particularly for tax assessors. They tend to artificially limit the geographic scope of their search to their own counties, limiting their opportunity for meaningful sales of similar industrial properties. Lastly, the cost approach determines the value of a property, by computing the cost to build or a replace a property and then deducting from that cost depreciation based on physical deterioration or obsolescence. Disadvantage: It is extraordinarily easy to err in attempting to perform a cost approach on industrial properties, especially in mass appraisal, given the difficulty in identifying and estimating value lost due to depreciation. Depreciation with industrial properties can be significant because of the hard use of the property by the owner or changes in industry standards. In 2015, the North Carolina Property Tax Commission decided an appeal, brought by Corning Incorporated, regarding the assessment of its property by Cabarrus County. Corning owned a manufacturing facility, specialized in fiber optics, which required a four-story layout, interior partitions and draw towers that penetrated the floors of the building. For the tax years 2012 and 2013, the county assessed the property at about $150 million, despite the fact that the property obviously lacked wide market appeal. To develop that assessment, the county first determined that it could not do a sales comparison approach because the property was so specialized. It then applied its typical cost approach, but it failed to make any meaningful deduction to recognize the value loss, caused by all the highly unique features — features that would cost a lot to build, but for which nobody would pay if the property sold. To the contrary, the unique features would restrict the market for the property, and therefore reduce the value of the property. For those two reasons, the NC Property Tax Commission rejected the County's assessment, holding that, "Cabarrus County failed to consider acceptable appraisal methodology to determine the loss in value due to economic and functional obsolescence..." and that Cabarrus County's focus on the special use of the property by Corning, "caused the County to implicitly value the property at the subjective worth to Corning and not at the objective value to a willing buyer." On appeal, the North Carolina Court of Appeals agreed, stating that "[b]y insisting that the highest and best use was for manufacturing optical fiber...the County pigeon-holed the property into a market with no user-owner demand, and thus, no comparable sales." Moreover, the Court said, "the County used the cost approach but failed to account for obsolescence which...should have been deducted." Industrial properties are often specialized facilities that suffer from significant depreciation due to heavy use, changes in the industry, or changes in the market of the product they produce. For those reasons, it is difficult for mass appraisal systems to produce consistently accurate values for industrial properties. 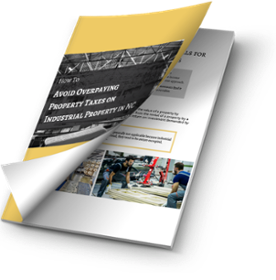 If you are in charge of managing the property tax function for an industrial property, you should take a hard look at each assessment you receive, for real property and business personal property, and think about whether the assessor fell into any of the common assessment pitfalls, as described in the Corning case study.